I'm Giving My Ebook Away For FREE (But Only For 3 Days)! Thank you for being a valued subscriber to the "Good Day to All My Friends!" newsletter. This is NOT unsolicited email - you are receiving this email because you either signed up for the newsletter at https://www.seasofmintaka.com, the website for empowering highly conscious people through psychic and spiritual development, or you purchased one of my products or services. I hope you enjoy this e-zine and I LOVE all my valued subscribers, but if for whatever reason you don't resonate with this message, there is a link for you to unsubscribe at the end of this email (and don't worry, I'll still love you anyways). No new article today (awww). Today’s newsletter is just to remind you that from today, Thursday, April 9 – Sunday, April 12, my latest ebook “I Love Him, He Loves Me Not: How I Left a Codependent Relationship”, will be available for F.R.E.E on Amazon. Click here to read more about it directly on Amazon. Okay okay, so you’re probably wondering, Why on earth would I be interested in this book, anyways? I know it’s f.ree, but there are lots of freebies out there. Why is this book different from all the other junk that’s spinning around out there on the internet? Well, I can understand that. So let’s see if I can answer your questions. First of all, this is not just any ebook. This isn’t a tiny little 5-page pamphlet that I wrote with the intention of releasing it as a freebie on my website. This is a real, true, bonafide full-length BOOK. 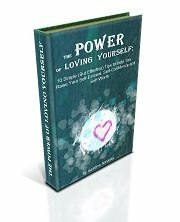 It’s a rather personal book, where I describe what I did to walk away from an abusive, codependent relationship. I explain both the inner as well as the outer work that I found I NEEDED TO DO to end this destructive dynamic. I describe the steps that I took to leave this type of unhealthy relationships behind me. What WORKED for me. And what DIDN'T WORK. And I also explain what you need to do, AFTER you leave and are free from your codependent relationship(s), in order to avoid EVER EVER EVER getting into another codependent relationship again. I narrate what I did to put my life back together after codependency. What worked for me – and continues to work for me even today. When I left, I didn't have a job. I had two small children to take care of. I'm an ex-pat living in a foreign country, so I didn't have any family to turn to. And in spite of all that, and even though a LOOOT of times I didn't have the faintest idea what I could do to leave, I was still able to succeed, and to make it all work out. 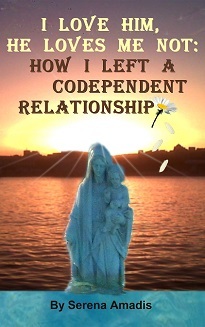 I was able to WALK AWAY from and LEAVE a codependent relationship – and ALL codependent relationships – for good. And today I live a super happy life, on the south coast of Spain, with my two sons, making a good living and doing the things that I love to do and want to do. And in this book, I will tell you how I did it. I also include some advice, tips, suggestions and information so that, you, too, can do it and succeed! This isn’t some flash ebook that I just zipped out in half an hour. I really thought it through, and spent time putting it together with all the information that I could think of that could help people, or that you could need if you were in this situation. For this reason, I will not normally offer this book for f.ree. This is a special promotion, and I have no intention of ever putting it up as a freebie on my website. So if you’ve been feeling like you’re in a similar situation, you’ve been wondering what to do and you think this book might help you, but you’re not too sure you really want to make the economic investment (although its normal price is only $3.99), this is a good chance for you to acquire this book without any risk. Once again, my latest book, “I Love Him, He Loves Me Not: How I Left a Codependent Relationship”, available for f-ree on Amazon from today, Thursday, April 9 – Sunday, April 12, by clicking here. Click here to order now from Amazon without any cost to you. And remember, always, that LOVE is the strongest force in the universe. LOVE is stronger than bombs, or guns, or swords. And those who are moved by LOVE will ALWAYS win, in the long run, over those who are motivated by hatred, bigotry, scorn or disdain or intolerance. P.S. And if you get your copy of the book and you really dig it, I’d feel so chuffed if you’d leave me a (positive) review on Amazon! Once again, here is the link where, for a limited time only, you can download my latest ebook “I Love Him, He Loves Me Not: How I Left a Codependent Relationship” for f.ree from Amazon. Browse through the latest articles and posts here on the The Seas Of Mintaka Site Index. Or you can go to the Seas Of Mintaka Home Page.